Home › Baseball Hot Corner › Who Will Play Third Base For The San Francisco Giants? Who Will Play Third Base For The San Francisco Giants? *This article was originally published on Baseball Hot Corner. In October they won it all. Three World Series trophies in five years. The San Francisco Giants had cemented dynasty status. Two days later, the orange and black celebrated with a parade on Halloween, celebrating team stars like Madison Bumgarner, Hunter Pence, and Pablo Sandoval. Since the parade, Bumgarner went on to win Sports Illustrated‘s “Sportsman of the Year,” while Pence and the Giants took home the hashtag for Best Celebration, for the MLB Network Social Awards. Here’s where the fun stops: Sandoval spurned the Giants, where he was beloved in San Francisco, and headed East to the Boston Red Sox. After Sandoval signed with the Red Sox, the Giants have went from winning the biggest honor in all of baseball to losing in free agency. Jon Lester signed with the Chicago Cubs, Chase Headley returned to theNew York Yankees, Melky Cabrera was added to the list of big signings for the Chicago White Sox. Jed Lowrie went to the Houston Astros, whose biggest achievement recently has been “earning” the No. 1 overall pick in the June draft. San Francisco’s main objective going into the offseason has been to add to their starting rotation, and it seems that thought process hasn’t changed with rumors of the team going all in for James Shields. While pitching is still a concern for the Giants, the hot corner has just as big of a glaring hole with The Panda now in Boston. Currently, the Giants depth chart at third base reads as so: 1. Joaquin Arias 2. Chris Dominguez. Arias is a solid platoon option all across the infield coming off the bench and spot starts, but not the everyday answer. Dominguez played in a whopping total of eight games last year. As far as free agent options go, options at third base are slim to none. There are now two roads the Giants can take in regards to the hot corner: Convert or trade. San Francisco can pick up an infielder from free agency and look to flip him into a third basemen or flip Joe Panik from second base and keep that free agent at its respected position. Players that the Giants can do this flip-flop with include: Asdrubal Cabrera, Rickie Weeks, Gordon Beckham, or utility man Emilio Bonifacio. For their careers at third base, Cabrera has played one game, Weeks zero games, Beckham 115 games, and Bonifacio 141 games. On merits of pure playing time, let’s look at Beckham and Bonifacio. Beckham has a career fielding percentage of .950 at third base, slightly better than Bonafacio’s .946 at the same position, in 26 less games played. Between the White Sox and Los Angeles Angels, Beckham had his worse season of his career, only hitting .226/.271/.348 with nine home runs. Bonifacio, whose the king of utility players, saw time at every position besides first base, catcher, and pitcher in 2014 with the Cubs andAtlanta Braves. Going into his age 30 season, he still brings speed to the table after stealing 26 bags in 2014 while hitting .259/.305/.345. Both players seem to be in line for one-year contracts. Two trade options to look at are Lonnie Chisenhall of the Cleveland Indians, and Will Middlebrooks of the Red Sox. 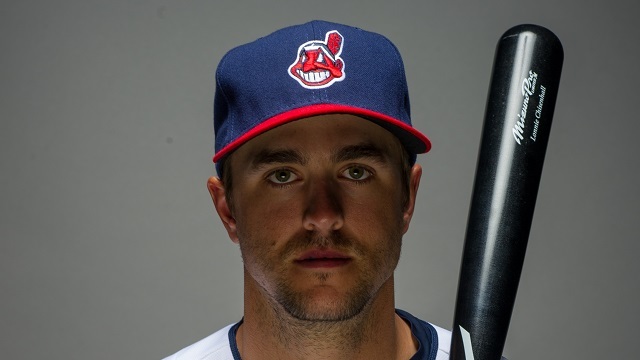 In 2014, Chisenhall, 26, hit his stride with multiple career highs, including games played (142), batting average (.280), home runs (13), RBIs (59) and OPS (.770). He also doesn’t become a free agent until 2018. With Sandoval in Boston, Middlebrooks has no place to play. Could the Giants and Red Sox essentially switch third basemen? After his last two seasons, Boston would hand over Middlebrooks for a shipment of Panda Hats. Last season, in only 63 games played, Middlebrooks didn’t even crack the Mendoza Line. He hit .191/.256/.265, adding only two home runs. The hope is that Middlebrooks is also only 26 years old, and possibly a change of scenery could change the fate of his future. The third base options are scarce for the Giants right now. If they decide to fix their problem via free agency or through a trade, they must put their foot on the gas and find a solution.